We partnered with Jen Huang and FaceTime Beauty to bring you ten different ways to wear flowers with a loose and low undo. Which style would you rock on your wedding day? 1. Natural Vine: Made of smilax vine, this is a great option for an outdoor wedding on a hot day. Smilax is hearty and will hold up well in hot weather. 2. Tropical Crown: A big, statement hair wreath is very popular right now. If you’re looking for an editorial look just for photos, this is a great way to go. 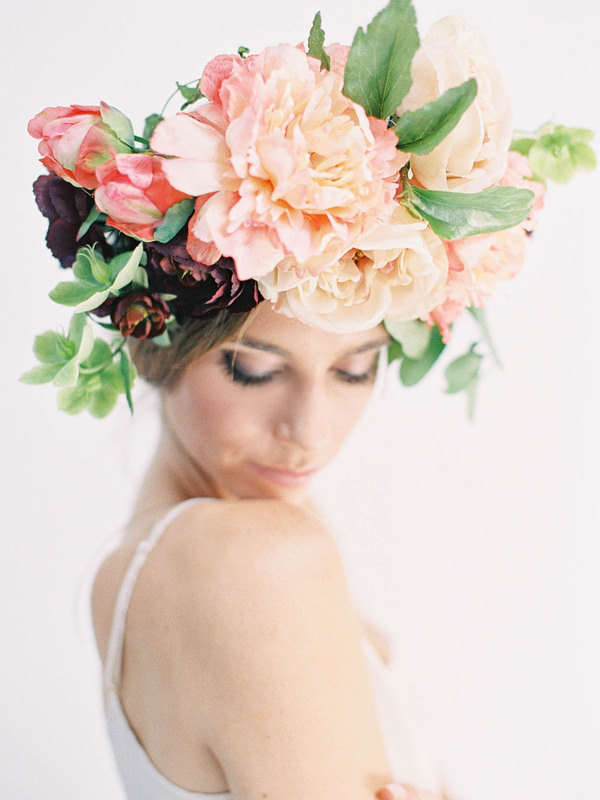 We used tree peony, kumquat, and variegated greens for this crown. 3. 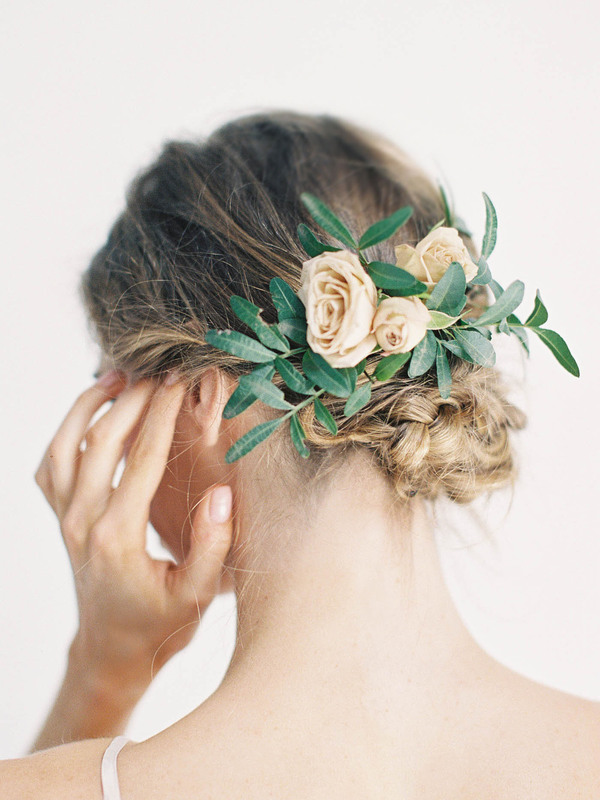 Romantic Comb: If you’re planning on wearing your hair in an up-do like this beautiful one by Facetime Beauty, and want to incorporate some florals, a hair comb may be the best route. This hair comb was composed of pistachio and sahara spray garden roses. 4. Delicate Blooms: Weaving delicate florets through your up-do is a delicate and romantic way to incorporate flowers into your wedding day look. 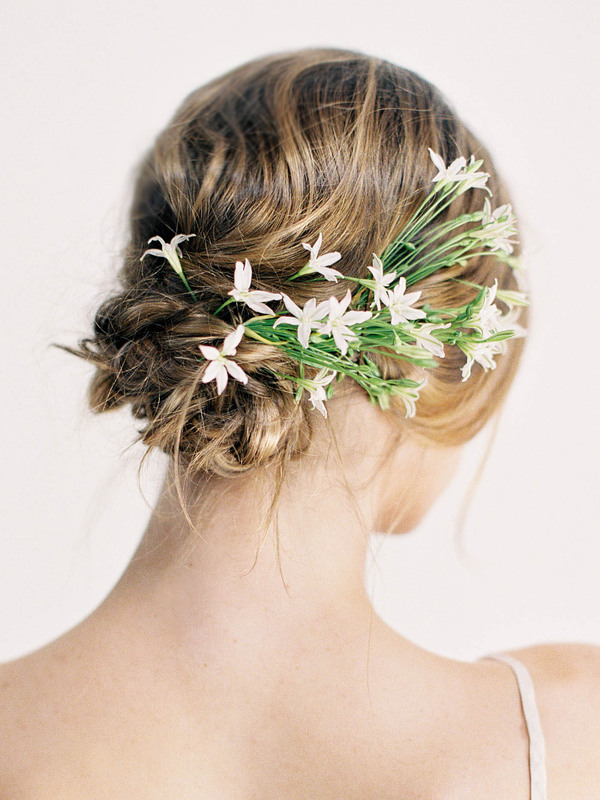 We chose white brodea because their stems weave easily through hair to help create the perfect delicate look. 5. 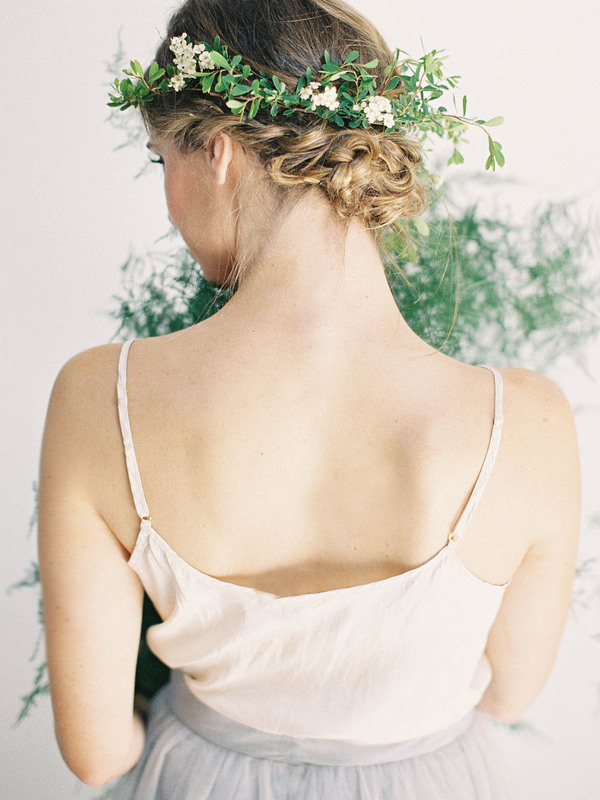 One-sided Spray: This spirea hair wreath is a simple design that incorporates mostly greenery with a touch of floral from the flowering branch. We left one side clear so that the florals are asymmetrical. 6. Herbal Wreath: Eucalyptus is a delicate, hearty green that has a lovely aroma. We’ve created a very simple wreath here to wear on your wedding day. 7. 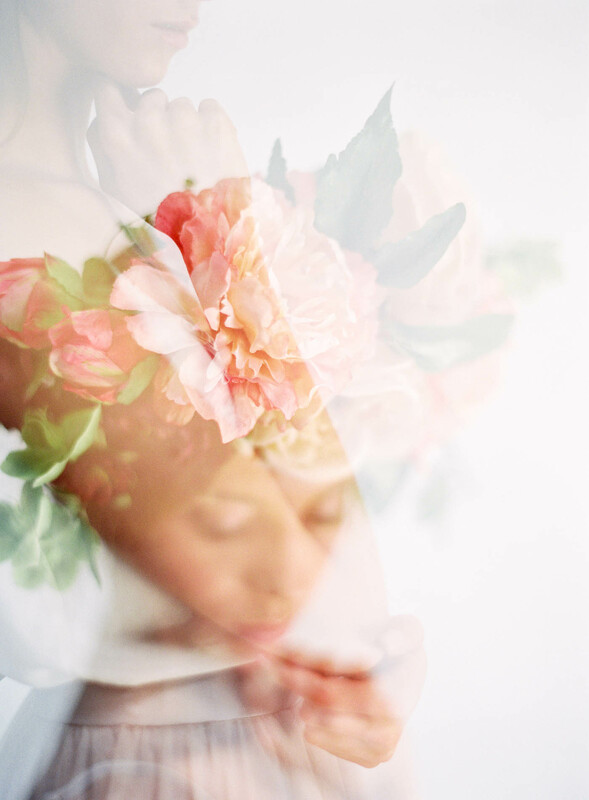 Statement Bloom: A single stem of a big, bold flower will surely make a statement on your wedding day. We chose a deep, red peony for this look. If peonies are out of season, you could sub in a garden rose for a similar look. 8. 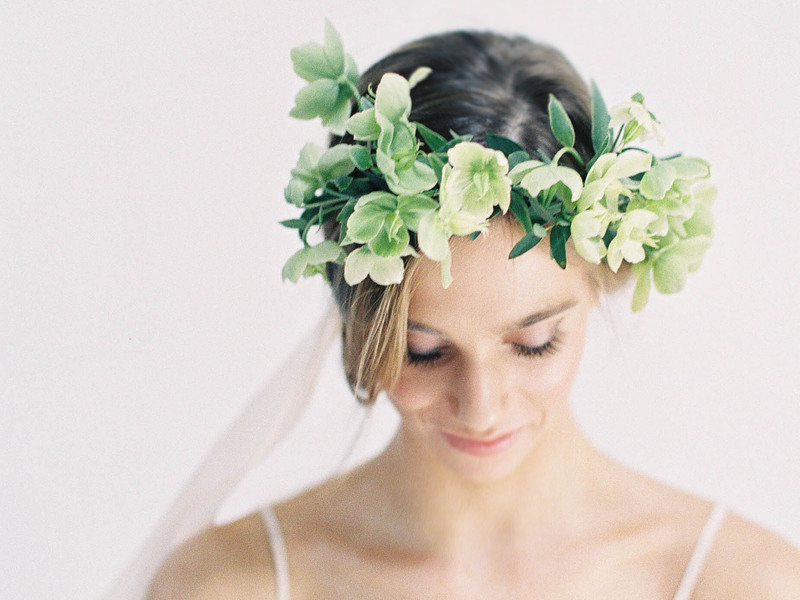 Modern Simplicity: A floral crown of hellebores creates a simple yet striking look. 9. Ornamental: If you’re looking to wear a big, bold floral hair crown but are worried about the flowers silting quickly, we suggest considering silk flowers. These days they look remarkably real and will last a lifetime. Silk flowers from AFloral.com. 10. 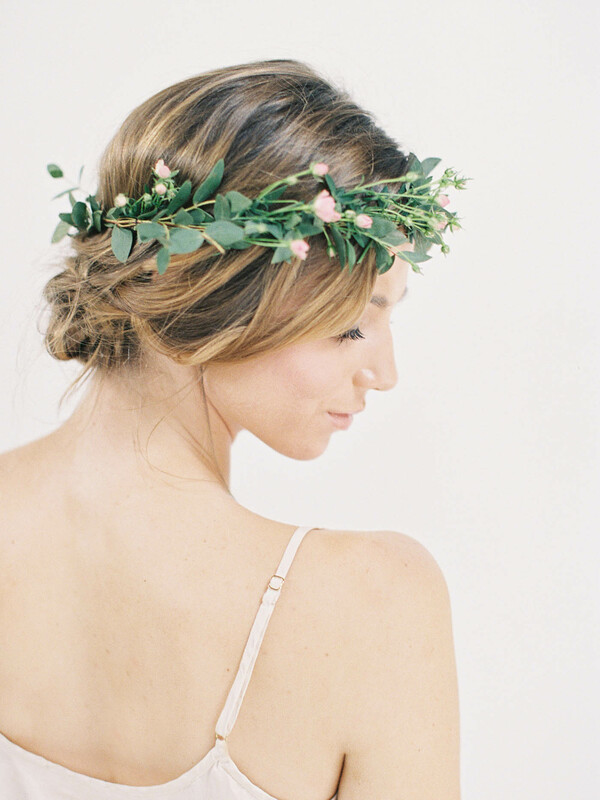 Classic Laurel: For this look, we chose eucalyptus pair with delicate spray garden rose to create a subtle yet romantic hair piece.